On Thursday 16th June, the Friend's charitable trust was awarded £1000 as a result of a competition run at the Charter School, where teams of students bid for funds for a charity of their choice. The photo shows the winning team, Rosa Beuzwal, Oliver and Ellie, with Jeff Doorn, chair of the Association and of the Friends. 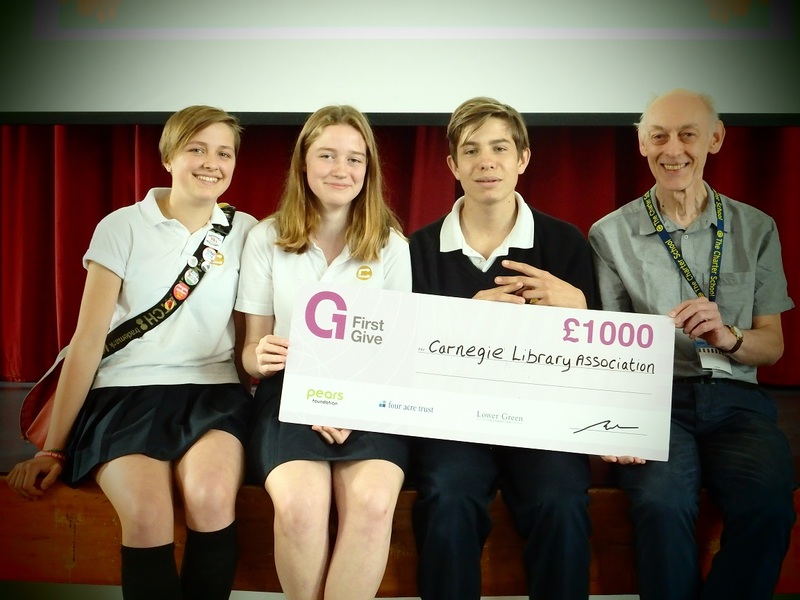 The funds will be used to develop the Association's business plans to run the Carnegie building and library as a community-led trust.